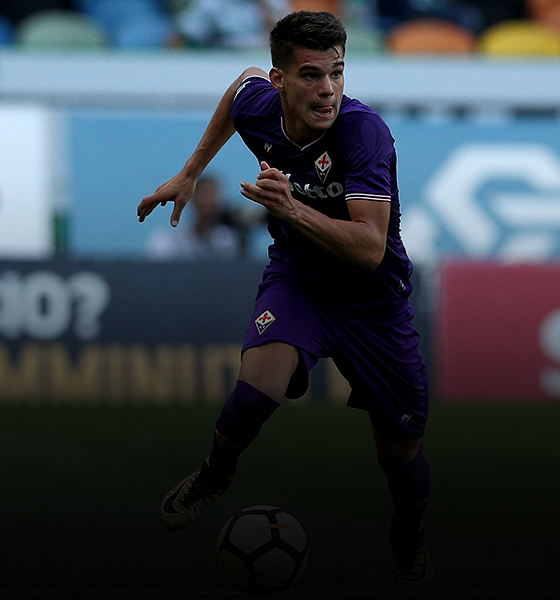 Simone Torricini brings you 10 players that could enjoy breakthrough campaigns in the Serie A this season. The Under-20 World Cup which began at the end of May and lasted until mid-June showcased a lot of potential cracks from several countries – be it England or Uruguay, but also Portugal and Venezuela. Among them, even the Italian side led by Alberico Evani displayed a great number of names that in the following years could become the leaders of their national team. 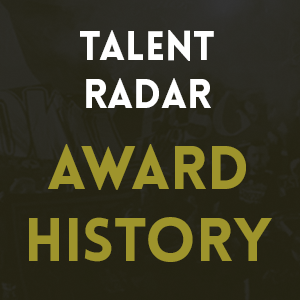 Through this article we want to present you the best youngsters of that group (all coming from Serie B or the Primavera), along with those foreigners who play in the youth sectors of Serie A’s teams but have rarely experienced first team action so far. Players from whom, at the same time, there are important expectations in future perspective. Born in Padova, Italy on the 27th of May 1997, Zaccagno was the first choice goalkeeper of the Italian side during the World Cup mentioned above. He grew up within the youth sector of his city’s team, and at the age of 17 he moved to Torino FC – where he plays nowadays. He spent the last season at Vercelli, playing in Serie B. There he managed only two matches with the first team, as he was kept out of the side by Ivan Provedel. At the end of the season his owners decided to recall him, and during the next season he will probably stay in Turin to learn from a top-flight goalkeeper like Salvatore Sirigu. Zaccagno is not particularly dominant from a physical point of view (he’s 184cm tall and weighs only 73kg), but his qualities in reactivity and agility make him a true wall between the goalposts. During the last World Cup Italy suffered 9 goals in 6 matches, but no one of them could be attributed to the goalkeeper. Here a demonstration of Zaccagno’s qualities: the right choice counteracting Maouassa, then the run to cover the goal and the great save on Augustin. Like Zaccagno, even Scalera was part of the Korean expedition. And, like Zaccagno again, even Scalera was the first choice in his role – that of the right back. He began the 2016/17 season playing in the first team of FC Bari – his hometown club. Then, during the winter transfer market, he moved to Florence to play with Fiorentina. There he was sent to the Primavera led by Federico Guidi, which first reached the Final Eight of the championship, and then the final (lost against FC Internazionale). Scalera played for about six months with the “Viola”, but at the end of the season the club decided not to renew his loan, so now he’s a player of FC Bari again. His role is not yet well defined : with the U-20 Italian side played as a right-back in a 4-3-3, but with FC Bari during the last months of 2016 was employed as a right-wing-back. During the period in which he was in Florence, indeed, Primavera’s coach deployed him as Italy’s coach did during the World Cup. Regarding his qualities: Scalera is not properly an offensive right-back; rather he’s very careful and concentrated when the opponents are attacking. 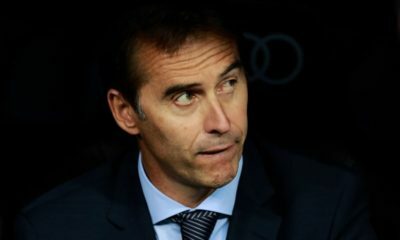 He would surely grow in his contributions to the attacking phase (for example: he has made only 6 assists – never scoring – in 112 official appearances). Having just arrived in Sardinia to begin his new adventure with Cagliari Calcio, the Italian centre-back is one of the most promising defenders of the league. He has played in all the youth selections of his National side, starting from the U-15, collecting totally 48 appearances with the Azzurri. During the last World Cup he played in front of Zaccagno and next to Scalera, and he was the Captain both of the U-20 this year and of the U-19 during the European Championship of the 2015/16 season. He was born just a day before Zaccagno (on the 26th of May 1997), and began his career with a small club of the Italian third division. Then, in 2011, he was purchased by Juventus, and just a few days ago the Bianconeri sold him to Cagliari Calcio for €7,6 million. Next season Romagna will have to prove all his qualities (leadership, and his great game view above all), facing a series of conditions he has never faced before, having never played in Serie A. The graphic offered by WyScout which describes the inclinations of a player shows us that Romagna is excellent in three situations: defending, passing and aerial duels. Could we ask for more from a centre-back? He’s 186cm tall and weighs 75kg, a great physique for a defender who also has creative attitudes. After the breakthrough of Italian centre-backs like Rugani, Romagnoli and Caldara, the members of the 1997 generation like Romagna are those whose task will be that of emulating their future National side teammates. A product of the same youth sector of Totti, De Rossi, Florenzi and Pellegrini (that of AS Roma), the Italian youngster is undoubtedly the best centre-back of the Italian class of ‘98. He was in Korea for the World Cup too, but suffered the competition with his teammates (Romagna and Coppolaro were more experienced than him) and played only a few minutes during the tournament. US Sassuolo purchased him this summer for €4,5 million, but AS Roma kept the right to obtain the 50% of a future resale of the player. One of the penalties Marchizza scored during the last season. If it’s true that it will be difficult for him to be regularly employed with the “Neroverdi”, on the other side Marchizza will surely improve experiencing himself, for the first time, in a professional reality. A rookie who came out from the youth sector of Atalanta BC during the last winter, Melegoni is part of the excellent youngsters in the tradition of his club’s youth academy. Like Gagliardini and Caldara, who just moved to Internazionale and Juventus, Melegoni was born near Bergamo and began his career in the same club he plays now. When he made his debut, on the 22nd of January 2017, Melegoni was only 17. In that period Atalanta’s coach Gian Piero Gasperini was forced to cope without Gagliardini (who moved during the winter transfer market), and said this words in an interview to Goal.com: “I’m here to realize a project based on the growth of Italian players from our youth sector”. Two weeks later, answering a question regarding Melegoni, he said: “Melegoni? He should improve his physical qualities – he has to grow. But from a technical and tactical point of view he’s a very important player”. At the end of the 2015/16 season Melegoni was awarded the prize for the best young midfielder born in 1999 by La Giovane Italia, a specialized website which follows all Italian youngsters. During the past season he played 20 matches with the Primavera of his club for an average of 85 minutes played per game, scoring a goal. He’s 186 cm tall and weighs 74kg, so it’s a bit strange to observe that within the graphic referred to the distribution of his qualities the “aerial duels” occupies only 7%. Anyway, Melegoni is a really complete midfielder, and there are a lot of expectations on his growth during the next years. Among these 10 To Watch players, Mandragora is surely the most affirmed. He has already played a full season in Serie B with Pescara and collected 6 appearances in Serie A (5 with Genoa, 1 with his current club), never scoring but always offering his contribution to the team. He’s also a member of the U-21 Italian side, led by Luigi di Biagio, and the Captain of the U-20 side. He has played 32 matches with the National team, starting from the U-17 side on the 19th February of 2014. Even if his professional development is not yet completed, Mandragora has already showed his two main qualities on the field. Firstly, he’s a very good administrator of the buildup phase; secondly, also thanks to his dynamism, he has a great defensive sense. His left foot makes him a bit limited (rarely do we see him using the right one), and for this reason he needs to play in a position of the field in which the pressure given by the opponents is less oppressive. Even if, according to someone, he could safely play as a mezzala. Through a graphic taken from WyScout we can also observe that in a situation of emergency Mandragora could play as a left centre-back (a position he covered, for example, in a friendly match a few days after the sale of Bonucci by Juventus during this summer). Discipline – both from a tactical and from a human point of view – is one of Mandragora’s most appreciated qualities, and it’s also for this reason that we expect a real upgrade of his career in the following two-three years. Surely a season without injuries could help him, as he has already missed 67 matches since playing as a pro due to an injury. The best Italian player of the U-20 World Cup, and the last of the group in our list. Orsolini grew up within the youth sector of the club of his hometown, Ascoli, where he played his first full season as a pro. There, under coach Aglietti, he collected 42 appearances in Serie B and scored 8 goals, serving 6 assists to his teammates. Then came the U-20 World Cup, where he scored 5 goals and dragged Italy until the semi-finals (which they lost against the English side, who were subsequently crowned champions). He has been purchased by Juventus for €3,5 million and sent on loan to Atalanta BC. Orsolini is left-footed like Mandragora, and like Mandragora this feature represents a slight limit for him. During the last Serie B season and the World Cup he found opponents whose average level was not so high (for different reasons), so even if he used the same technique to attack them the results were satisfying. But when he will play in Serie A matches, his skills inventory should be extended. Anyways there are no worries about it: Orsolini has demonstrated to be both brainy and receptive as well as technically great, so it’s difficult to think that he would have problems in future. One of the five goals scored by Orsolini during the last U-20 World Cup: timing, bravery, power. We can see his main qualities in finishing, speed, shots and assists; all necessary for an aspirant lateral striker. The agent who takes care of his interests, Donato di Campli, spoke with these words at the beginning of June: “Someone said that Juventus had paid too much for Riccardo (Orsolini), but I think he can become a star”. About his role, during an interview he said that, “I was born as a winger, and particularly like to start from the right side of the field, so that I can cut inside and shoot with my favourite foot, or serve assists to my teammates”. Born in Turkey to a Romanian father (the great Georghe), Ianis began his professional career within the youth sector of the first club of his country – Steaua Bucharest. Then he moved to the Academy founded by his father, and at the beginning of 2016 was optioned by the “Viola”, who brought him to Italy as soon as the transfer market opened in July. He spent all his first Italian season between the Primavera and the first team, always playing with the first one (13 matches, with 5 goals scored) and always watching his teammates from the bench in the second one (only 2 appearances, both as a reserve). Now he’s working with Stefano Pioli, Fiorentina’s new coach who succeeded Paulo Sousa at the end of the season. The Romanian has great qualities but is very slim from a physical point of view, and this is the reason why he found a lot of difficulties during the friendly matches played this summer with the first team. 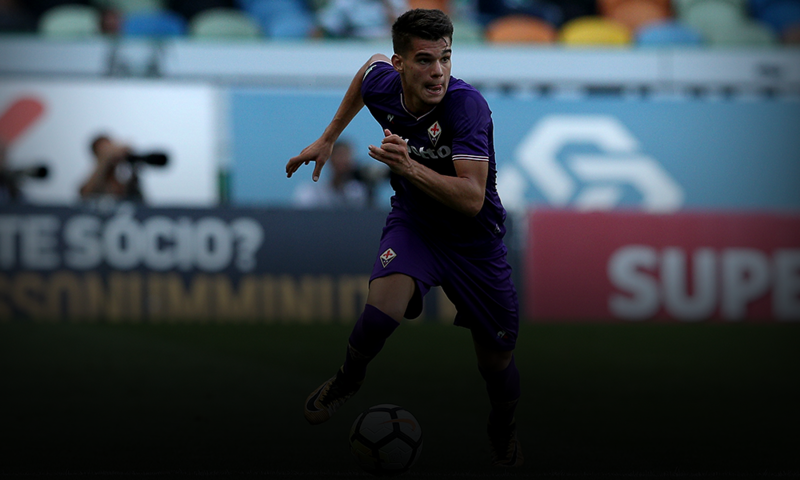 His role is that of a central advanced midfielder in a 4-2-3-1, the same formation chosen until now by his coach; Fiorentina’s managers are working on the market to find other players to cover that position, but Hagi’s qualities are undoubted: he will probably need another year to improve his physique and his tactical approach. A compilation of Ianis Hagi’s skills. 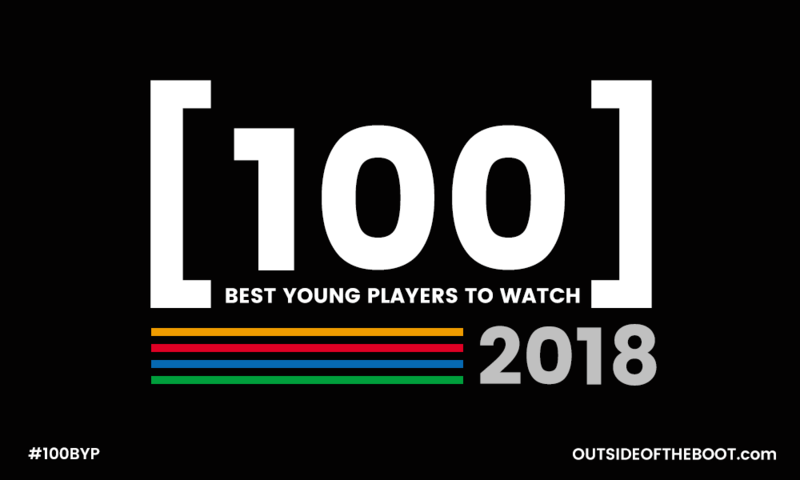 The youngest player of this “10 To Watch” is a true millennial, as he was born on the 17th of March 2001. The information we have regarding him are very little, because Pellegri has played only three matches with the first team of his club – Genoa CFC. He has never participated in big tournaments with the Italian national team, even if he has already played 28 matches with the youth selections of the “Azzurri”, so all the details which regard his profile come from his first appearances with the first team. Pellegri is a true prodigy from a physical point of view: he’s 188cm tall and weighs 78kg at the age of 16, and it’s not a coincidence that his first goal in Serie A (scored during the last match of the championship) derived from the exploitation of these extraordinary qualities. To be honest, he’s a also a prodigy for another reason: he’s the youngest newcomer of the history of Serie A.
Pellegri’s first goal in Serie A, at his debut from the first minute: firstly fighting against Manolas, then shooting with Szczęsny between the goalposts. Not the easiest thing to do. These are the numbers of his first season as a pro: 74 minutes played; 1 goal scored; an average of 0,7 shots per game; 2 balls lost. Numbers that certainly can’t say a lot on Pellegri, who also plays as centre-forward in the youth-sector: during the 2016/17 season has scored 8 goals between the Primavera and the U-17 side, playing 38 matches. The next two years will be useful for Pellegri to improve his influence within the team, even if it won’t be so easy cause of the rivalry of the other strikers. Anyway, in 2019 Pellegri will move to Milan to join Internazionale, according to a great part of the Italian media. It’s not sure that the 2017/18 season will be spent by Pellegri only with the first team, but his profile is undoubtedly one to watch. If Pellegri will reach Milan in two years, the last member of our list is already there. Pinamonti is the best product of Internazionale’s recent Primavera, which – thanks in part to his goals -won the last Championship in June, and from the beginning of the 2015/16 season he’s been part of the first team. 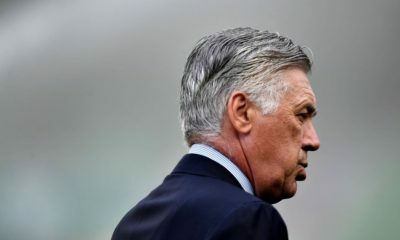 A lot of top clubs in the Premier League are following him since he played with the U-16 side of the “Nerazzurri”, but he will remain as Icardi’s deputy for the next year. He has already made his debut in an European competition during last season – against Sparta Prague, in December, when he also served an assist. Pinamonti is probably the best Italian youngster to represent a conception of the striker which is both conservative and innovative. He has great physical qualities (he’s 186cm tall), excellent finishing and is powerful in aerial duels, but he is not the typical centre-forward who only occupies the penalty area; rather, he likes to be part of the buildup in the final third of the field, showing his great leadership often taking initiative. With the Primavera he scored 19 goals in 28 appearances, for an average of a goal every 124 minutes. People who personally know Pinamonti say that he’s “one of the quietest guys you’d never meet”, and the sensation given by his attitude on the field suggests that if he will reach high levels (in Italy, at least for now), this will happen also thanks to his human qualities.